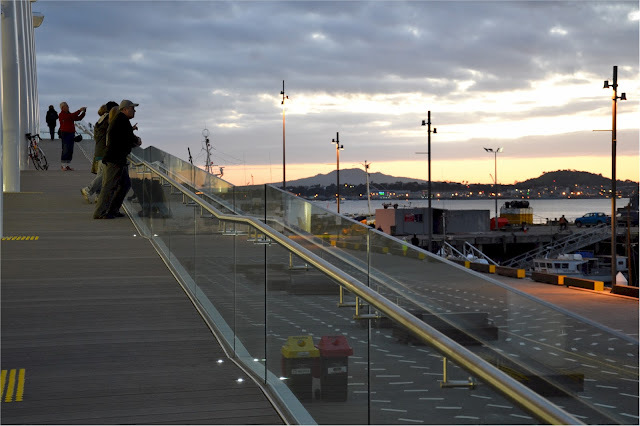 Reflections on Auckland Planning: Wynyard Quarter - RIP ? 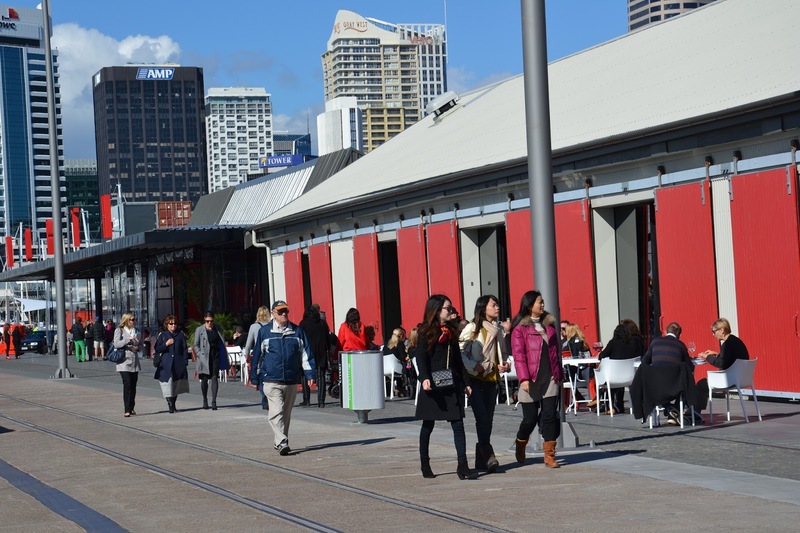 Wynyard Quarter - RIP ? 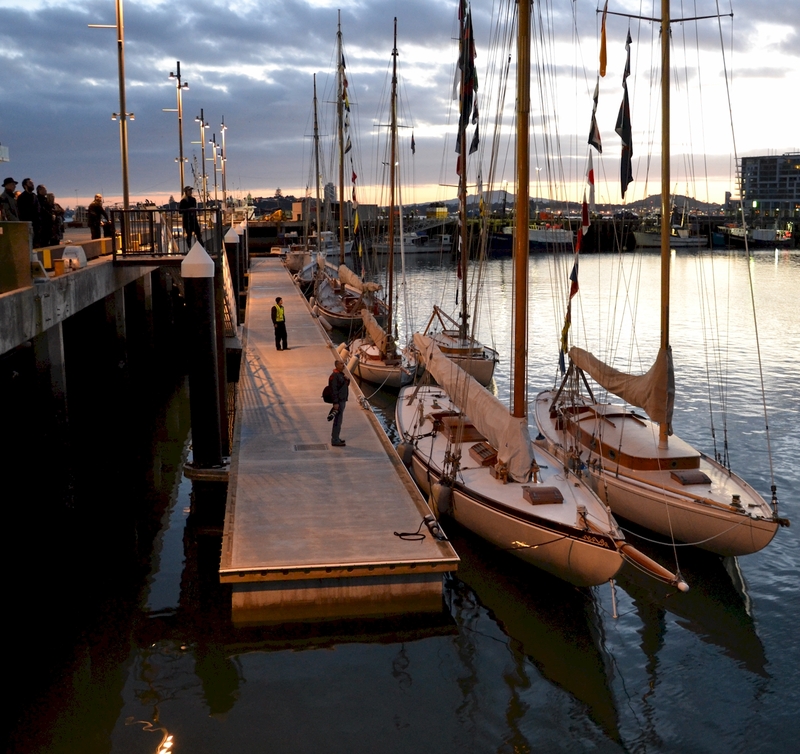 Do Auckland Councillors really want to destroy Wynyard Quarter to make way for America's Cup syndicates and their super yacht followers when a sensible alternative exists? 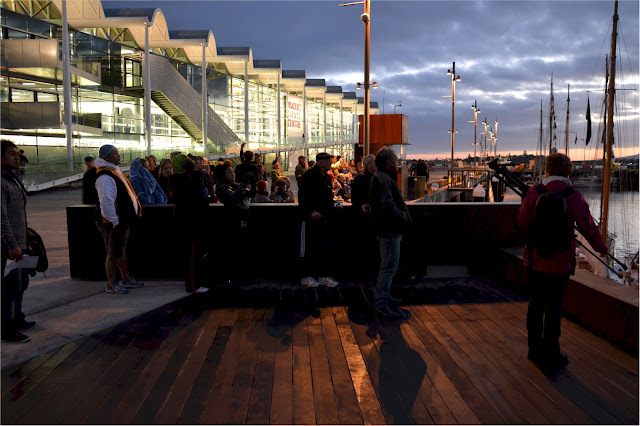 Many of us sweated political blood so that Auckland could have a slice of waterfront it could be proud of and enjoy. Along the way I have taken photos to record what was there and to fight for its retention and incorporation into our regenerated waterfront. So we would retain our maritime heritage and working waterfront feel. North Wharf and Net Shed in 29 June 2006. This was around the time Auckland Regional Council and Auckland Regional Holdings took what was known as the Western Reclamation from Ports of Auckland and into public ownership. I didn't know much about this area of Auckland then. But mates told me how they loved this area, the Sanfords fish market and a few eating places. They also expressed their concern over how much damage might the ARC do to a precious place like this. 29 June 2006: A few hundred metres along North Wharf you come to Wynyard Wharf - fenced off at this time for security reasons. A fishing boat and the Sealink ferry servicing Great Barrier Island. 24 May 2008: One of the Sanfords buildings with its fish market and one or two eateries. 2 May 2008: Auckland's Asian tourist visitors love it. Bus load after bus load came while I was there. 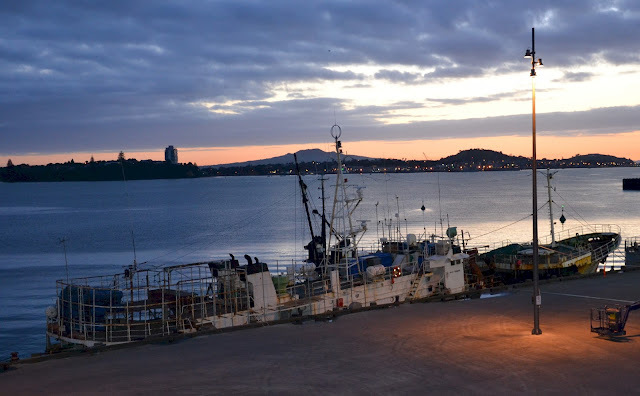 Great views of the Waitemata Harbour. 2 May 2008: Far more visitors down here than locals. 2 May 2008: Here's the photo they came for. 2 May 2008: For a short while the nets found a home on Wynyard Wharf. 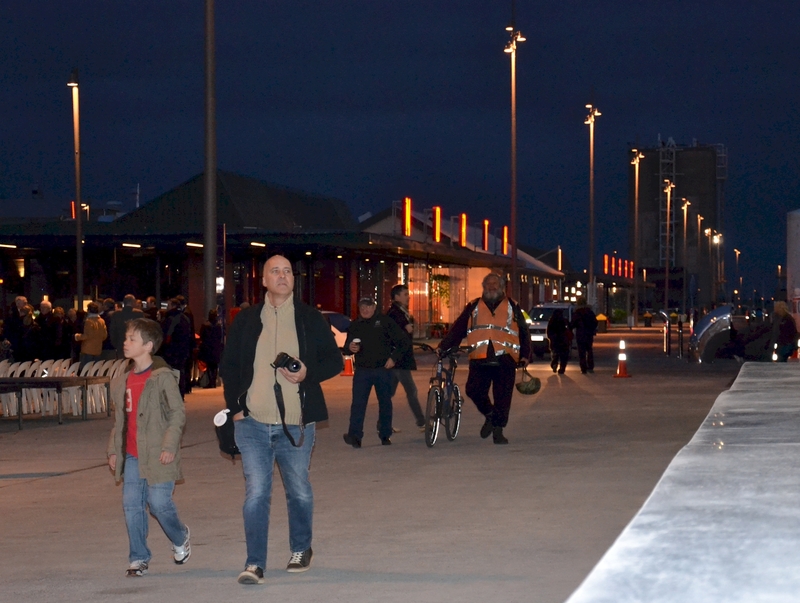 2011: People come down to the dawn unveiling and official opening. 2011: The Viaduct Event Centre is a glowing backdrop. Offering viewpoints. 2011: Such a view from there (see below artist impressions if proposed America's Cup sheds built here). Love the light. 21 August 2011: The Net Shed in all its glory. Not many nets anymore. And it's undergone a few transformations. 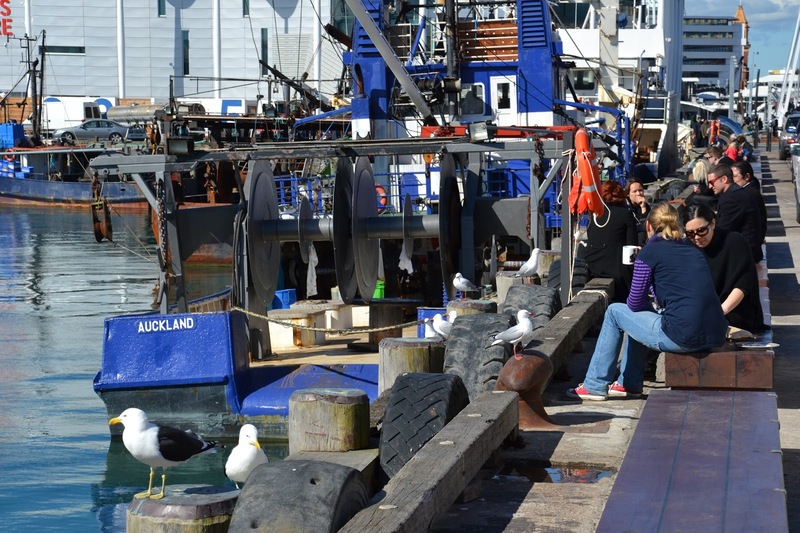 21 August 2011: ...but just across North Wharf from the net shed there is the fishing industry. Event Centre backdrop. Fishing boats. POAL HQ building in background. Ferry terminal beyond. Pretty special. Now - Future - Really? 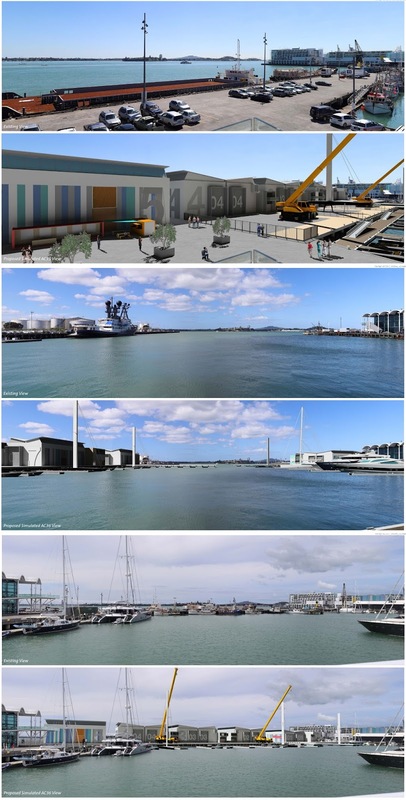 : These images are part of Panuku's draft resource consent application to build America's Cup bases on an extended Halsey Wharf and to remove the fishing fleet and Sealink ferry from the area. The top set are from the corner of the Viaduct Event Centre viewing area looking north-east. The middle set are from the middle of North Wharf looking north. The bottom set might be from the lifting bridge or Te Whero. The sequence of images above does not portray the lost opportunities that are inherent in Panuku's proposals for the fishing fleet and ferry relocation. 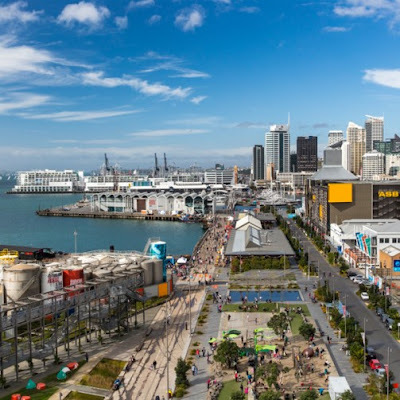 Those proposals put at risk the kind of public spaces and experiences that can be had when the Wynyard Quarter Headland Park is established in accordance with the original vision. See this blog posting for more on that. 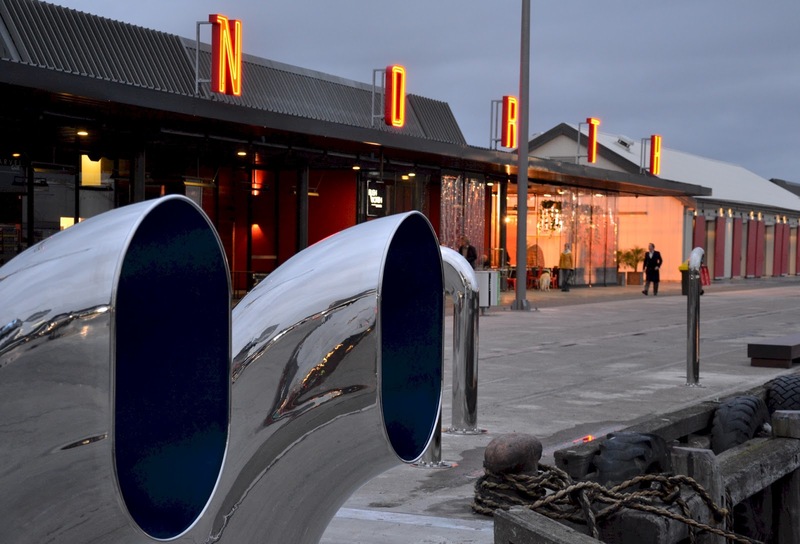 Do we want to see Wynyard Quarter destroyed in the interests of hosting and accommodating America's Cup syndicate bases? I don't think so. Thank you Brian Rudman for your piece in NZ Herald today.